This week’s map shows the gas tax rate in each state as of January 1, 2017, using data from the American Petroleum Institute. These taxes can vary widely. The highest state gas tax is assessed in Pennsylvania, at 58.2 cents per gallon, with Washington State (49.4 cpg) and Hawaii (44.39 cpg) following closely behind. Alaska drivers pay the lowest rate in the country at 12.25 cents per gallon. These figures do not include the 18.4 cpg federal gas tax. 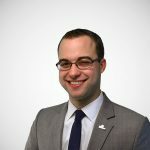 While usually not adored by taxpayers, gas taxes do conform relatively well with the public finance concept known as the “benefit principle,” meaning that as a general rule, the gas tax revenue accumulated from drivers goes toward the provision of government services that benefit drivers: the construction, maintenance, and repair of roads. This connecting of road costs with the people who use the roads encourages efficient use, minimizing traffic and wear on the road bed. States assess gas taxes in a variety of ways. Some states assess a “specific” tax, a per-gallon tax rate that is collected at the pump. Other states charge wholesalers an “ad valorem” tax on the wholesale price of a gallon, and some states assess an ad valorem sales tax on the purchase of gasoline. The American Petroleum Institute’s data above adjusts for these differences in the application of taxes and calculates the average tax rate on a gallon of fuel in each state for easy comparability. 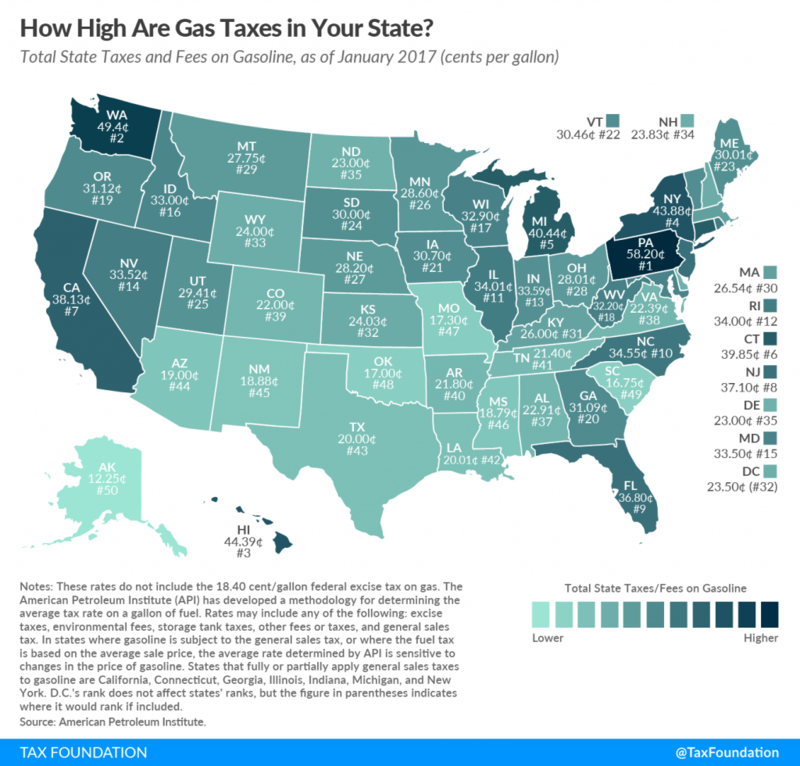 Errata: The original version of this blog post listed the incorrect gas tax rate for Pennsylvania in the first paragraph and an incorrect rate for Illinois on the map. Both errors have been corrected.